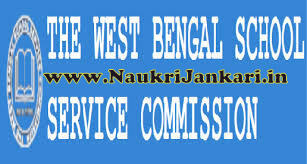 Many readers have requested us to publish detailed syllabus of West Bengal School Service Commission (WBSSC) TET 2015 examination. So, today we are sharing here WBSSC TET 2015-16 Exam Pattern & Syllabus. The written exam consists of objective multiple choice questions (MCQs). There will be total 150 questions which carry 150 marks i.e. 1 mark for each question. You will get 1 hour and 30 minutes. Now let's have a look on exam pattern. These three subjects which have 90 marks are compulsory for all aspirants. C) For any other teacher : Either A or B. Note : WBSSC follows NCTE's syllabus. Is there any negative marks in WBSSC TET exam? No, there will be no negative marks at all. So friends, hope this would be useful for you. Don't forget to give your feedback in the comment box below. 0 comments for " Pattern & Syllabus of WBSSC TET 2015 Exam "